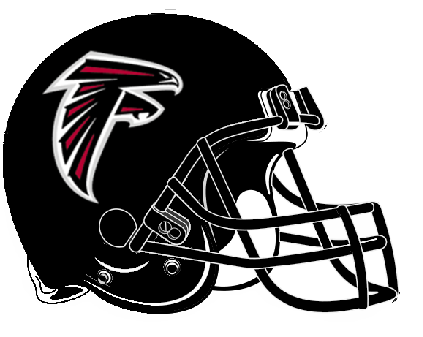 We all know the Atlanta Falcons are one of the best teams in the NFL. They toppled the Super Bowl Champion Denver Broncos this past Sunday, 23-16. Both teams boast 4-1 records following their gridiron battle. It is quite possible these two powerhouses will meet up in February’s Super Bowl. To many, the more intriguing question is which team’s players have the sweetest rides rather than which team is best on the field. Let’s take a look at which of these two teams would win a car competition in this week’s MONDAY NIGHT AUTOBRAWL. Ryan scores a solid +3 for his choice of vehicles. Julio Jones has gotten off to an inconsistent start this season. Though he had a monstrous outbreak in one of the league’s rare 300-yard receiving games, Jones has produced a few duds this year as well. The fleet-footed wide receiver rolls around town in a Dodge Challenger. It’s a bit of a let down to find out the game’s top pass-catcher drives a Dodge. Though there’s nothing wrong with the Dodge brand, one would expect Jones to have an exotic sports car to match his exciting on-field play. At least he has added some swag to his ride with customized rims that read “11 Jones”. In the context of football car scores, Jones earns a -1. Babineaux scores a +4 for his vehicle choice. The Broncos might be the best team in football yet it feels like this squad is lacking in flamboyant players aside from linebacker Von Miller. If an NFL fanatic was pressed to guess as to whether any Broncos owned an expensive sports car, most would guess that only Miller would drive such a vehicle. Some might guess that wide receiver Demaryius Thomas has a spectacular ride. Miller certainly lives up to expectation when it comes to automotive taste. The strip-sack savant has a stunning all-black Chevy Camaro SS. Though there are plenty of Camaros on the streets, few have an all-black exterior and interior like Miller’s. Miller might look like a bit of a geek when he dons those big “nerd glasses” yet he looks quite stylish wheeling around in his customized Camaro SS. Miller’s car score is +2. Emmanuel Sanders is a fairly diminutive wide receiver. Though he isn’t exactly a flashy player on the field, he is one of the most reliable wide receivers in the game. Sanders whips around town in a beautiful white Lamborghini. His selection of vehicles earns him a +5. Demarcus Ware drove a Hummer when he played for the Cowboys. The Mile High marauder now drives a sporty Nissan GTR. It’s an excellent vehicle in every respect. Ware gets a +3 football car score. Broncos’ defensive lineman Derek Wolfe’s first vehicle was a truck that cost a mere $400. In college he drove a Dodge Ram that he describes as a “train wreck”. As soon as Wolfe signed his NFL rookie deal, he upgraded to a Ford F-150 Ranger Raptor. This truck has a cool name and also performs quite nicely on the road thanks to its 6.2 liter, V8 engine. It’s one of the best off-roading trucks ever made. Wolfe’s ride scores a +2. This matchup comes down to the wire. The Atlanta Falcons emerge in the end thanks to Vic Beasley’s swagged out Lamborghini and Jonathan Babineaux’s stylish Escalade.